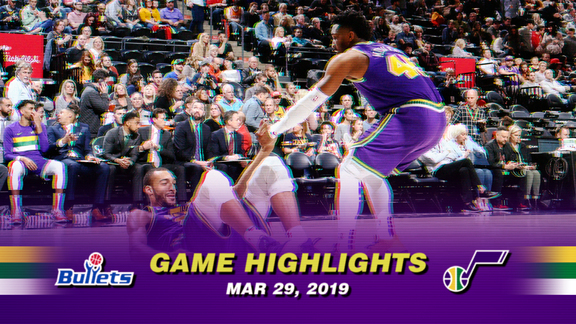 It's playoff time, and the Jazz—who have won 13 of their past 16 games—are hitting their stride at just the right time. They have the second-best record in the NBA since the All-Star break. The only problem is they'll be facing the team with the best record over that same stretch—the Houston Rockets. Here's a look at how the teams match up heading into their Round 1 matchup. The Jazz and Rockets split their season series 2-2 this year, with each team going 1-1 on its home court. Utah has an all-time regular season record of 105-96 versus Houston, and the teams have met eight times in the playoffs since 1985, with each team holding a 22-22 overall record and the Jazz advancing five times. 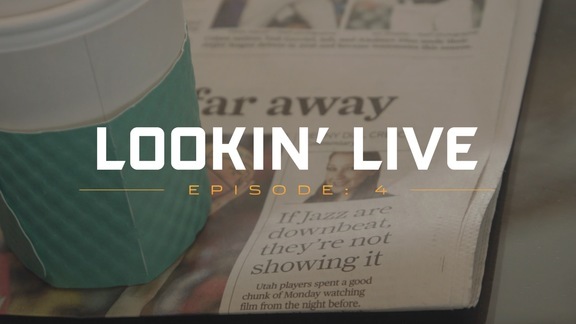 Of note, Utah beat Houston 4-2 in the Western Conference Finals in 1997, with John Stockton hitting "The Shot" to send the Jazz to their first NBA Finals. Last year, the Rockets eliminated the Jazz in five games in the Western Conference Semifinals. 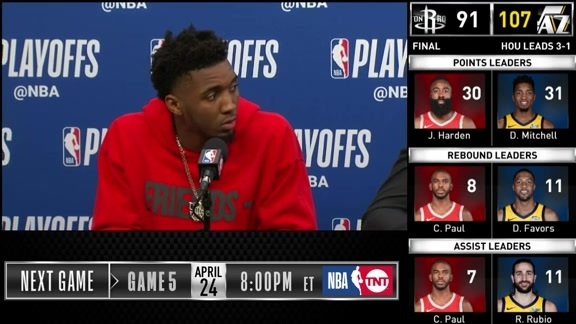 James Harden and Donovan Mitchell are the obvious headliners, but this series will likely be decided by the other matchups, beginning with the starting point guards. The Jazz are really good when Ricky Rubio's on his game—they went 20-10 this season when Rubio shot at least 45 percent from the field, and 13-7 when he dished out at least eight assists. Rubio stood out in last season's playoff series against the Thunder, finishing Game 3 with 26 points, 11 rebounds and 10 assists to become the first Jazz player to record a postseason triple-double since John Stockton in 2001. Rubio, though, injured his hamstring and did not play in the Western Conference Semifinals against the Rockets. Rubio has missed four of Utah's last five games while dealing with hamstring soreness and a quad contusion, but if he can recapture his form from last year's OKC series, the Jazz will be in good shape. While the Rockets are Harden's team, Chris Paul is their biggest X factor. Houston was on the brink of upsetting the Warriors in last season's Western Conference Finals before a hamstring injury ended Paul's playoffs—and his team's chances. The nine-time All-Star played in only 58 games this year due to another hamstring injury, and while his numbers are down at the age of 33, Paul is still a force on both ends of the court. He ranked third in the NBA in both assists (8.2) and steals (2.0) per game. 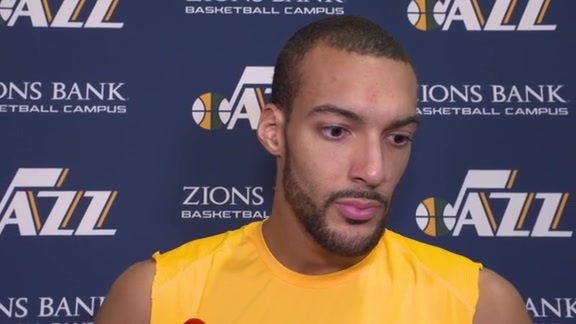 Rudy Gobert took his game to the next level this season, leading the NBA in FG% (.670) and setting career highs in points (15.9), rebounds (12.9, fourth in the NBA) and assists (2.0) per game. He also ranked third in the league in blocks per game (2.3) and is the favorite to win his second straight Defensive Player of the Year award. Rudy becomes the first player since Wilt Chamberlain to shoot at least 65% from the field for a full season while collecting 1,000 rebounds and scoring 1,200 points. In short, The Stifle Tower is a nightmare on both ends of the court for Utah's opponents. Clint Capela continued to shine this season, averaging 16.6 points, 12.7 rebounds and 1.5 blocks per game, and ranking right behind Gobert in FG% (.648), though he struggled against the Jazz. In three games versus Utah, Capela averaged 9.0 points, 12.0 rebounds and 3.0 blocks. The Jazz will look to control his access to the rim as Harden and Paul drive into the lane. Utah's ability to defend the reigning NBA MVP—who averaged 36.1 points, 6.6 rebounds and 7.5 assists this season—will be the series' top storyline. Harden became the first player in NBA history to score at least 30 points against every NBA team in one season, and he averaged 33.5 points on 46.6 percent shooting in four games against the Jazz. In last year's series, Danté Exum was able to slow Harden down, especially during Utah's Game 2 victory in Houston ... but Exum is out with a knee injury. That leaves the combination of Mitchell and Royce O'Neale, who will fill Exum's role of providing tough defense off the bench for the Jazz. After Utah's loss to the Clippers in the regular season finale, LA guard Patrick Beverley gave Utah's Jae Crowder some tips on how to guard Harden. That, of course, is far easier said than done. Mitchell got off to a slow start this season—he averaged only 19.3 points per game on 40.1 percent shooting in November and December—while he was still recovering from a foot injury, but the second-year guard has turned it on in a big way over the last few months. Since the All-Star break, Mitchell has averaged 26.7 points, 3.0 3-pointers, 4.5 rebounds and 4.6 asssists per game while shooting 46.1 percent from the field and 45.1 percent from beyond the arc. He's also scored 46 points twice—against two of the NBA's best teams (Milwaukee and Denver). 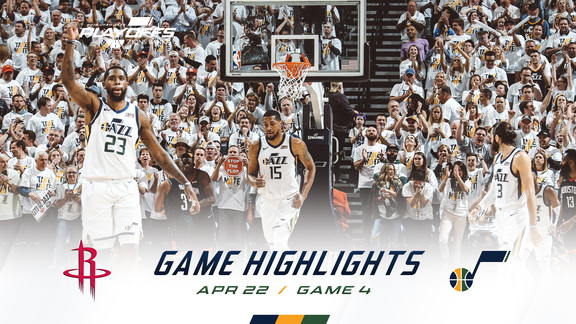 Mitchell broke out on the national stage during last year's playoffs, scoring 38 points in a series-clinching victory over the Thunder and then dishing out 11 assists in Utah's Game 2 victory over the Rockets when Rubio was out. This year, he'll look to do even more.